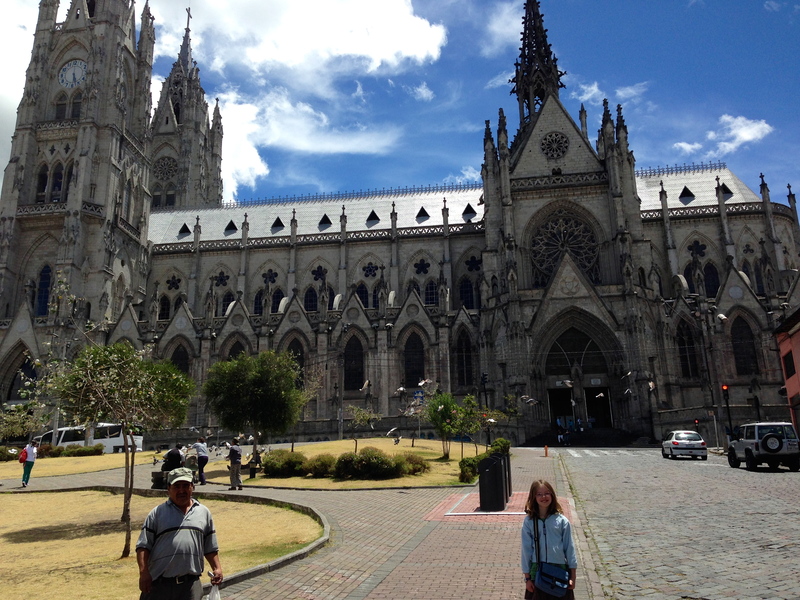 In Quito Ecuador there is a church called the Basilica. The Basilica is very old, tall, and has lots of details. 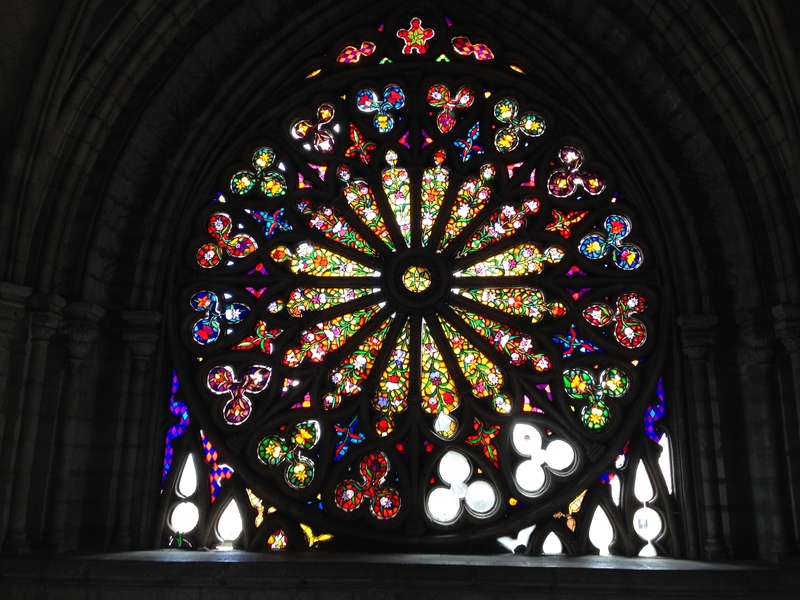 I went to the Basilica with my dad. 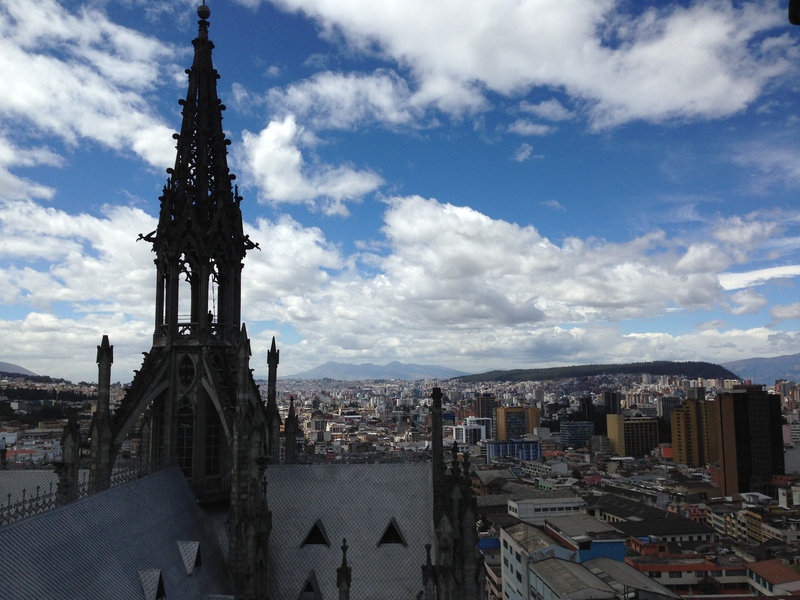 Priest and people of Quito started collecting money for the Basilica in 1884. They started collecting materials in 1887. In 1892 they placed the first stone! 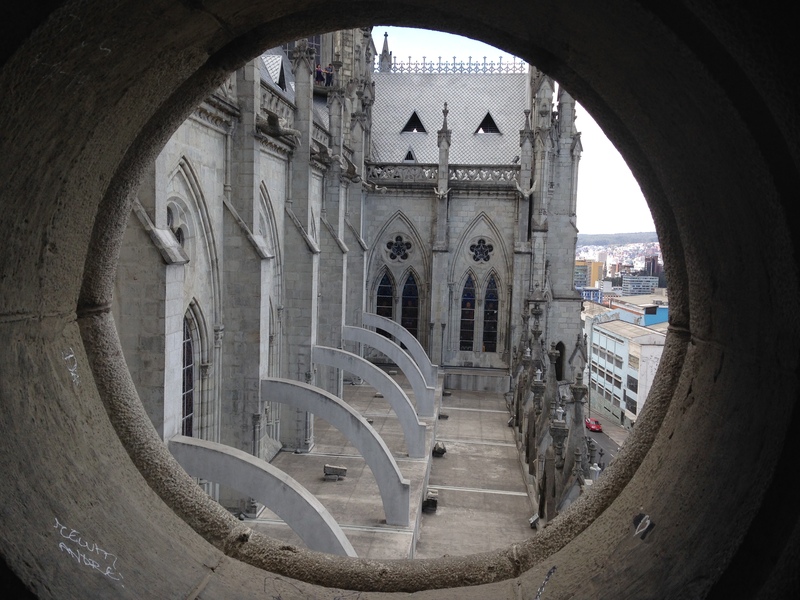 There is a legend that says when they finish the Basilica the end of world will come, so the Basilica is not finished. 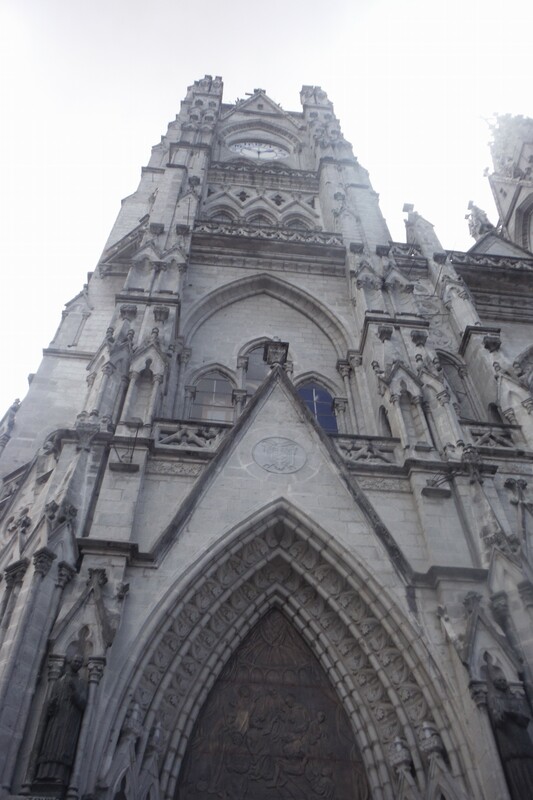 The Basilica is the largest Neo- Gothic church in the world. 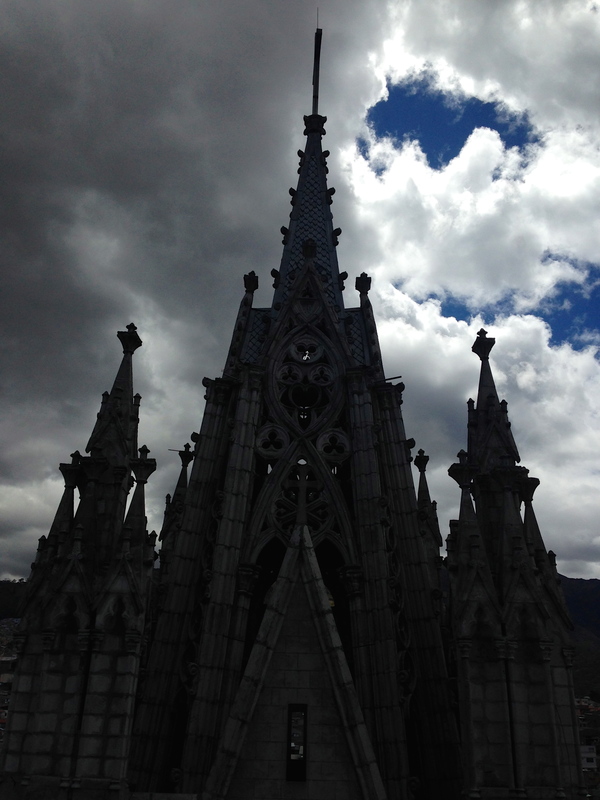 (Gothic means scary animals in the architecture.) 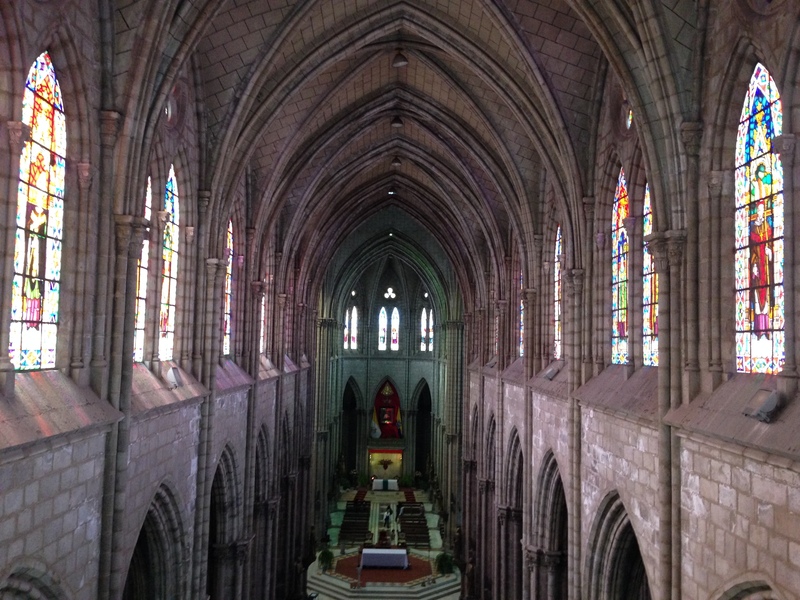 The 2 front towers which are the highest part of the church are 377 feet high. My Dad and I went to the Basilica. 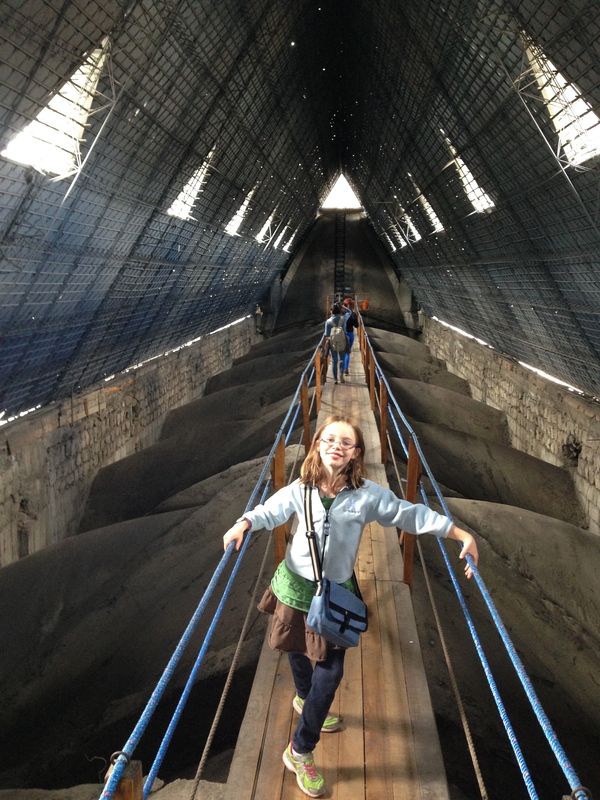 We climbed the back tower and 1 of the front ones. The back tower was shorter than the front one. We used stairs and ladders to to get up there. It was really high, and it was harder climbing down. We took lots of pictures of the city and the mountains. The back tower was better for taking pictures of the mountains. It seemed harder to breathe up at the top. Inside the Basilica it was all white, tan and black. People thought it would be easier going down forward facing, but my Dad and I went backwards so it was easier. I think the Basilica is really cool! Hi Cat! Wowie wow! That is a really cool church. Bye Cat! Cat you did a wonderful job with your blog post. I learned things I never knew, like the meaning of Gothic. I enjoyed the post about museums too, I would love to see the gold church. Thank you for reading my blog grandma! It was nice finding the meaning of gothic! I really miss you! I have been enjoying reading your mom’s blog, and now I can’t wait to read your blog. I love reading about all of your adventures. The Basilica looked impressive. We went to St. Louis last weekend and also visited a Basilica. We did not climb the towers like you did. That must have been fun. 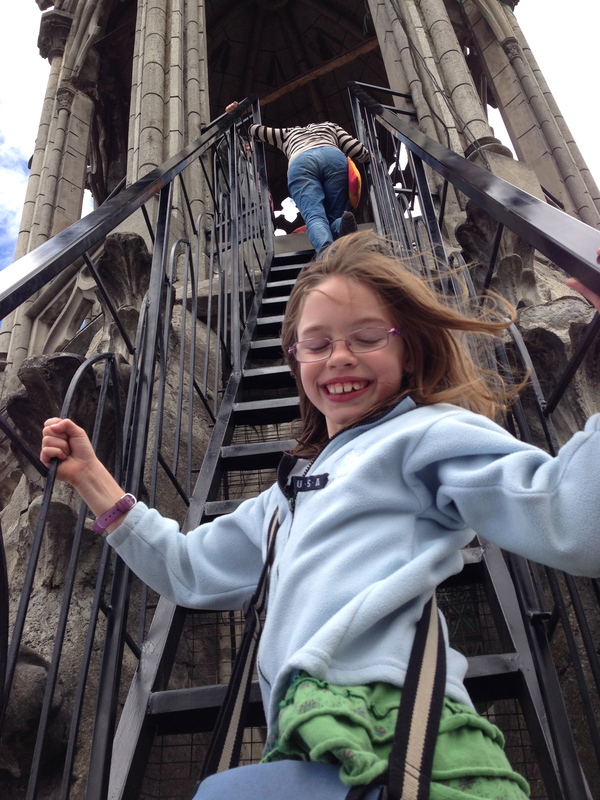 It was FUN climbing to the top of the Basilica! I wish I could go to school with you again this year. I really miss you too Cat. I have one more shot next week then I will make my plane reservations to come see you, Finn, Mom and Dad. I am looking forward to you helping me with my Spanish. WOW! What an adventure. You explained everything so well, I could almost vision myself climbing the ladders and steps with you. Keep them blogs coming!